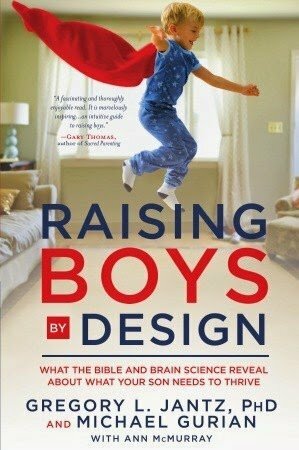 I chose to read and review Raising Boys by Design by Gregory L. Jantz and Michael Gurian because as a Mama of three boys, I need some help in this area! In many ways boys are a mystery to me and, because I have been entrusted to help raise these little guys, I want to better understand how they are wired (you can read Chapter One here). I have to be honest this book was hard for me to get through, not because it was difficult to understand, but because it dealt with brain science and the like. Brain science is a valuable tool, but for a busy Mama of four it was hard to make the time to dig through the valuable chapters that set the foundation for this research-based resource. While it is important to read these chapters, as they provide the meat for the authors’ approach to helping boys be all they can be, I enjoyed the latter chapters much more. This book actually is helping me become a better wife. As I learned about the male brain I began to understand that Hubby is not being a jerk when he doesn’t remember all twenty-five things I spew at him in a five minute conversation, but his brain is created to process the world differently. Duh! I have heard this before, but the candid way the authors’ drive this point home, helped it sink in. I realize I need to alter my approach and stop expecting Hubby to respond with a female brain. Each gender is created by God’s design, differently, and that is a good thing! My three favorite sections were at the end of the book. These chapters addressed: the male brain and technology, providing a rite of passage into manhood, and how the church needs to improve its approach in connecting with males and their design. The practical content in these chapters alone makes this book worth reading. When I told our boys that we were having a family photo shoot they were less than thrilled; downright annoyed in fact. Then, I told them they could do their freestyle dancing to God’s Not Dead during the photo shoot…and they came around. 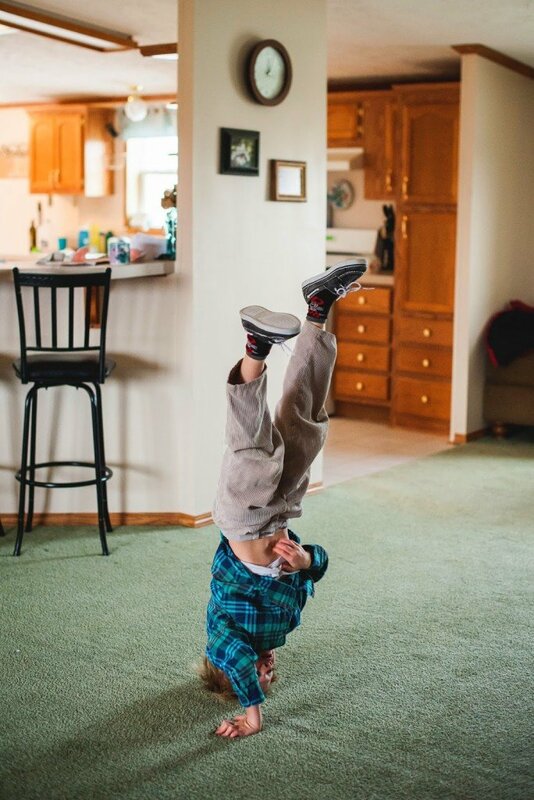 Here are a few of the action-packed photos from their dance party. 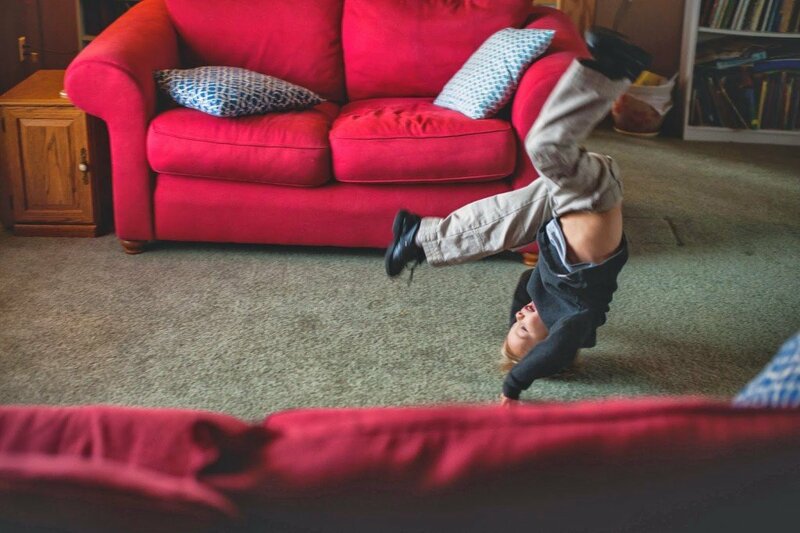 These photos serve as a tangible example of our boys’ need to move, to experience, to process the world hands-on (and sometimes upside down). They are on a quest, and it is our job to help them emerge a hero…”Boys go and out and do dangerous and high-risk things as part of their hunger and as their attempts of self-maturation. 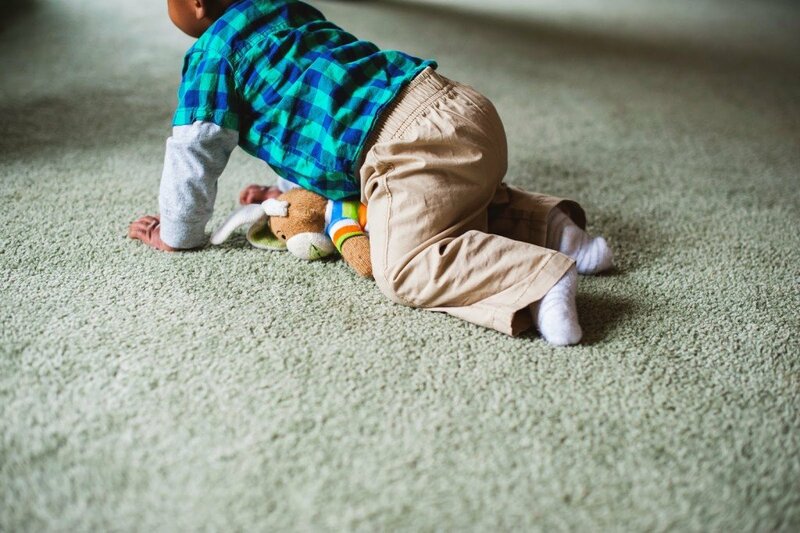 This behavior is driven by their hormones and developmental design, and it’s a series of action-oriented ways of saying, ‘Look, folks, I’ll keep attempting these dangerous (and sometimes downright stupid) rites of passage into power and adulthood until you, my elders, help me grow into adulthood in even more accomplished and thrilling ways'” (Raising Boys by Design, pg. 182). 1. When will I become a man? 2. What will be expected of me and can I fulfill that? 3. What will be right and wrong behavior for me as a man? I want to keep these questions handy as we help steer our boys towards manhood. 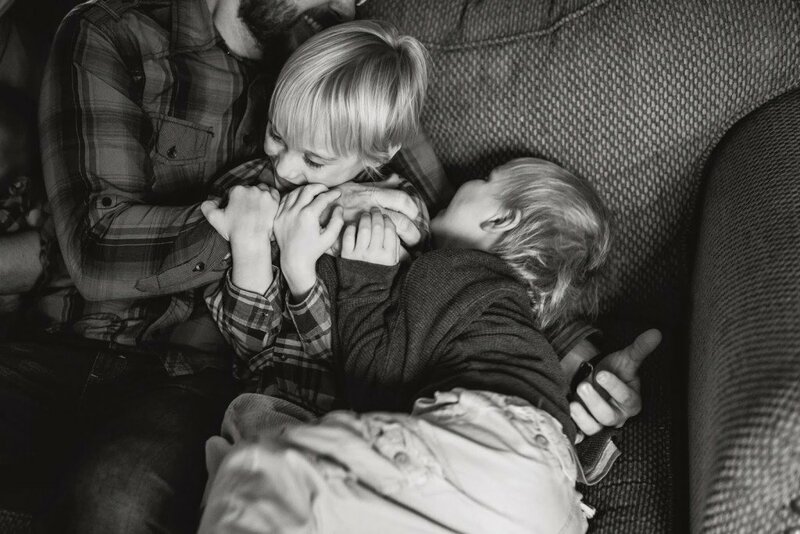 I can easily get overwhelmed thinking about raising three boys to become men- men of purity, integrity, and faith. But we are leaning on God’s help, each other, and the help of family and mentors to help in this noble endeavor. As Sunshine Head held the door open for me and a college girl yesterday I caught a glimpse of the man he will one day become…thoughtful and considerate. And when he came home tonight demonstrating karate moves and how to properly tie his karate belt, I caught a glimpse of the discipline and strength that are developing within him, more and more all the time. They are learning, these three, with bumps and bruises along the way. 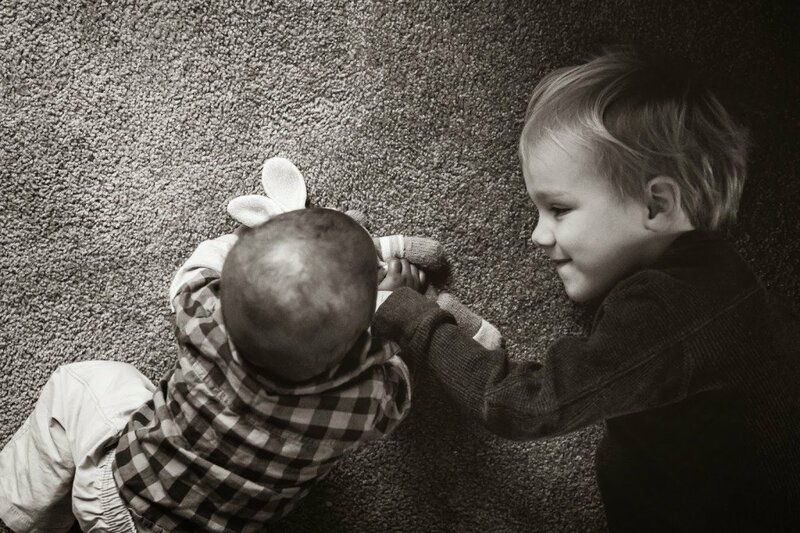 With heavy doses of grace, prayers cried out loud and joy welling up unspeakable…we raise these boys a little each day.